If the price of gas is taking a big chunk out of your paycheck, commuting in a Yaris could be the perfect solution - but it’s not very well suited to do much else. Cargo room is less than half what is available in the Honda Fit, the Ford Fiesta beats the Yaris’s fuel economy with the automatic transmission, and almost any other subcompact is a better choice for affordable creature comforts - but the Yaris is cheapest, and it is made with Toyota’s historically unmatched reliability across every class. 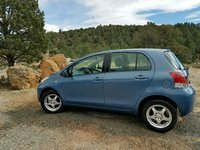 With it’s 106-hp 4-cylinder engine, the Yaris gets about 29 to 36 mpg - or just 1 mpg less on the highway if you get the optional automatic. This is true whether you choose the 3-door liftback, 5-door liftback, or the sedan - and you won’t notice much of a difference until you get picky about cargo. While the liftbacks offer interesting extra compartments along with 26 cubic feet in the trunk (9 cubic feet with the seats up), the sedan is not so utilitarian with just shy of 13 cubic feet in the trunk and none of those extra compartments. The rear seat in the liftbacks is predictably cramped, but the sedan offers a bit more space for your passengers. 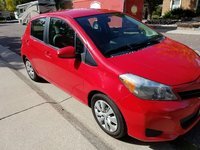 If you don’t mind going back to the stone ages of automaking, the Yaris is a great cheap solution, but should you need anything like a radio or power accessories, expect to fork out an extra $900 to $3,000 over the base price. Some drivers complain that the dash is inconveniently arranged, and the automatic’s acceleration could be better - but all in all the Yaris feels solid, agile and modern. 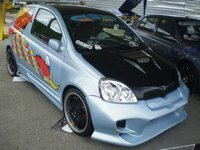 The Yaris was born in Japan way back in 1999 as the Vitz liftback and Platz coupe or sedan. 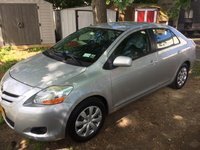 Canada got it next in 2004, and its name was changed to Yaris in all markets a year later, but it didn’t arrive in the U.S. until 2007. Only one liftback and sedan style were offered in ‘07, with a 3-door sporty S arriving in ‘08. These first two years were characteristically Spartan, however, and several basic safety features like airbags and antilock brakes were optional until the 2009 update. A 5-door liftback was added to the lineup for ‘09 as an automatic only, but the 5-speed manual became the standard in 2010, along with a host of other changes. Stability control became standard, for instance, and the sporty S was dropped and replaced with the Sport option package. 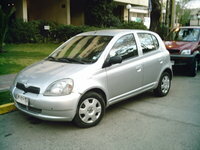 Otherwise, today’s Yaris is exactly the same as the ‘07 Yaris - except for a few more miles under the hood, of course. 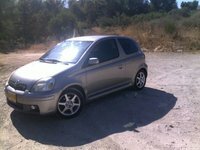 At long last, the test results are in for the ‘07, and survey says - the Yaris is perfectly reliable. No major problems, or minor problems, across the board. Since nothing about the engine or transmission has changed since then, you can expect perfect reliability no matter the year and precisely the same mileage, power and maneuverability. Of course that means resale value is very strong, and even an ‘07 will run you between $8,000 and $10,000. Each year after that the same car is about $1,500 more expensive than the previous year. Just be careful about any ‘07 or ‘08 version since several important safety features were optional until 2009. The 2020 Toyota Yaris has been announced, but it is not yet available for purchase. 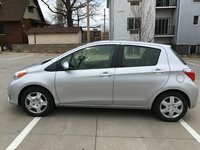 Start a new Toyota Yaris question. Does Anybody Know The A/c Spec. 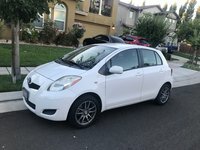 For 2009 Yaris? Need gas pressures for vacuum and for high and low pressure.